Home Entertainment Weird Phenomena that will creep you out !!! Weird Phenomena that will creep you out !!! This world is not only amazing but still holds many mysteries. Many phenomena, which the most intellectual minds have not been able to solve, are still a matter of many studies and researches and have not yielded any answers! Here are some of such weird phenomena that have been bewildering humanity for ages. At just the right conditions, the phyto plankton in the ocean, reproduce like bunnies, and crate a thick visible layer near the surface. This layer looks a disgusting shade of red during the day. When conditions are just right, ocean phyto plankton reproduce like bunnies, creating a thick, visible layer near the surface. 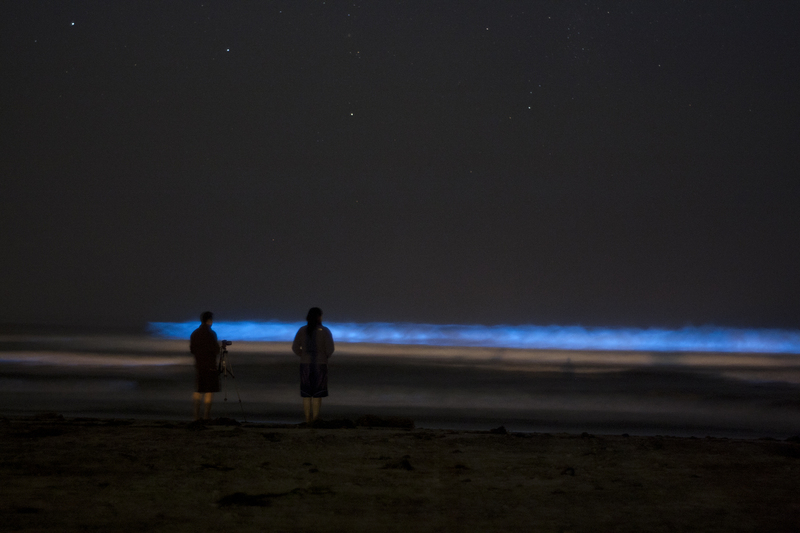 And if agitated, they glow with bio luminescent light, transforming the ocean in to a Lava lamp! And nobody knows why this happens? Considered to be one of the best natural events to occur in the skies, the Aurora Borealis or the Northern Lights as they are called have both astounded people and amazed them. This phenomenon occurs due to the high energy charged particles given off by the Sun that travel out into space. A solar wind like this interacts with the atmosphere of the earth creating the most beautiful skies that you could ever see at Ireland. There is nothing better than Aurora Borealis in front of your eyes. After having been a center of attraction for the entire world, these sailing stones are almost creepy. Rocks which weigh up to hundreds of pounds just move by themselves. Yes! Just like that, by themselves! Even if we propose that it the wind, how do you explain hundreds of pounds of one rock moving with wind? But these rocks still move and move at their leisure in Death valley California! 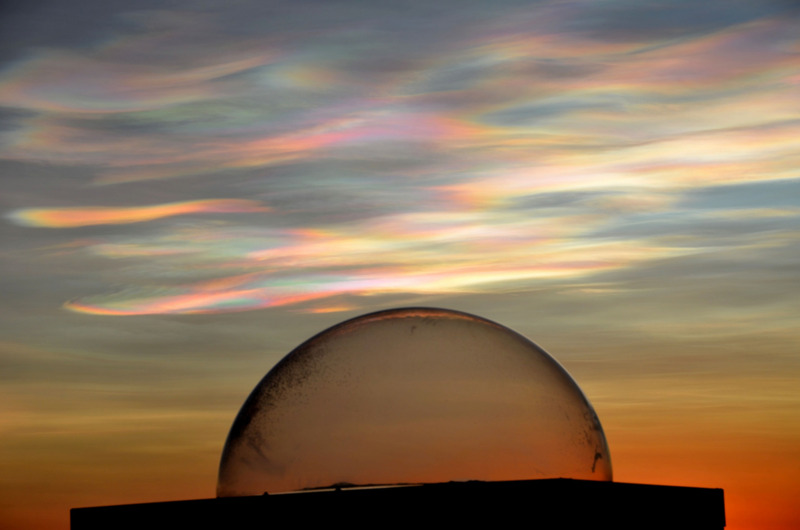 Also, called the mother of the Pearl clouds, this sight is unmistakable at sunrise and sunset. Guess the angles of the lights falling on them make them shine a bit and appear darker and is quite a comparison to the normal old clouds which seem so boring after seeing this! A very rare phenomenon of Circles of Ice being formed and one look at it will have you amazed. Ice somehow collects together forming circles which have so far been attributed to the river currents. 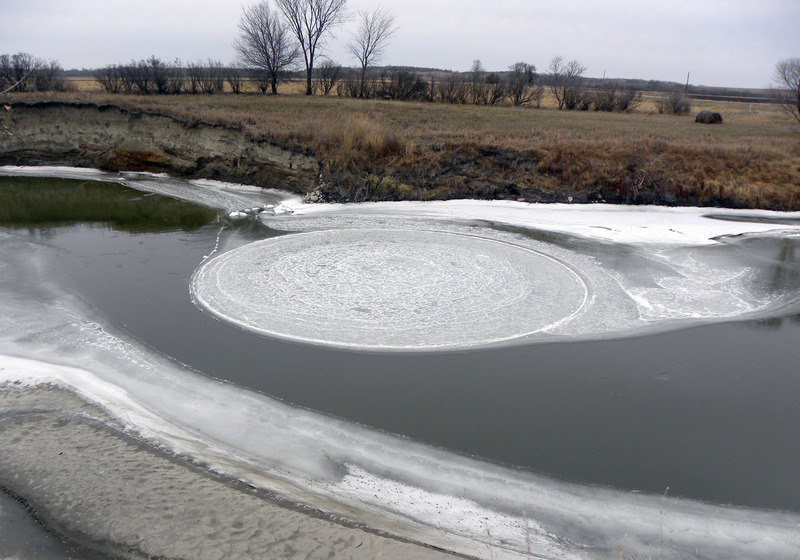 These Ice circles can have a diameter of up to 500 feet. Now, that sure is huge! Raining- The first thing that a live heart would do is go out and drench a bit. But what if you drench yourself in a rain of animals? Yes, this has happened! Actually a tornado made of water picks up the small sized animals too and then throws them as rain. Whether or not this is possible, so far this is the only viable solution to this extremely bizarre weather condition. 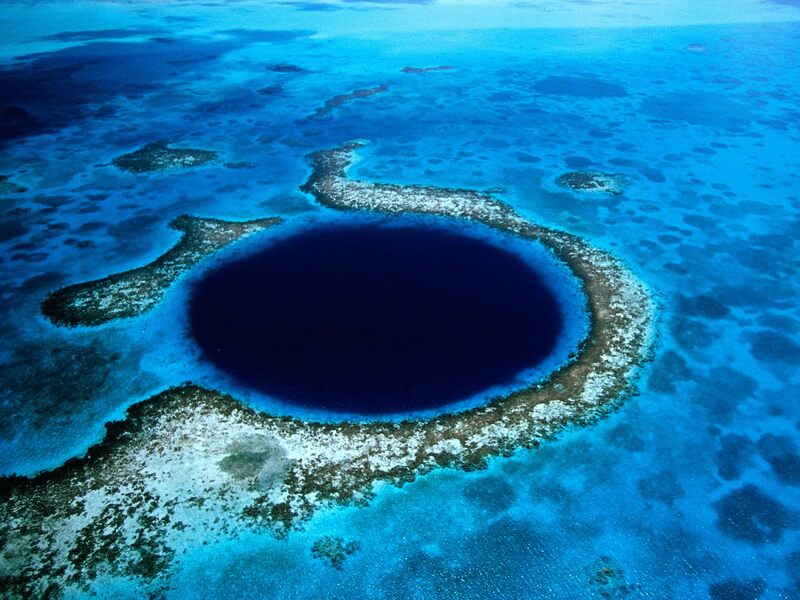 We all know that there are massive under water caves that were formed during the ice ages. But holes on the sea bed were targeted by sea bed erosion and to day you have water holes that can really give you nightmares. How the sea water can erode a particular spot, repeatedly enough to create such massive depths is now known. But talk to a scientist and he might somehow convince you! What do call humongous stones that self-excavate themselves from their mud beds? Mad Stones I guess! These stones have been dated back to millions of years and are simply beautiful. Apparently some phenomenon of particle sedimentation against the core creating spherical shapes. They are still forming so another century later; they would be bigger that what they are now! Colorful rocks? Oh they must be lovely! Well in actual they are not, and can be easily classified as weird. Wind and rain carves these strange rock formations making them one of the most intriguing phenomena today. In October and November every year, Crabs party and celebrate and so they come out and begin a mass migration to the ocean. And ask them why? For mating is the simple answer! The traffic is halted and so it the population allowing free access to the red crabs who just need to dive in. These are actually cute. 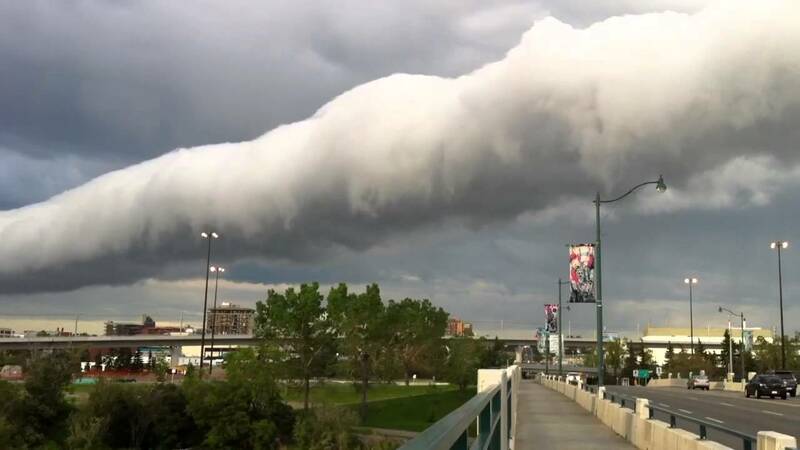 Fluffy and cylindrical but very strange, these clouds can just steal your heart. Most commonly seen in Burketown Australia, these clouds are just too cartoonish! No we want out trees brown and green and so we don’t want to see any other colour. 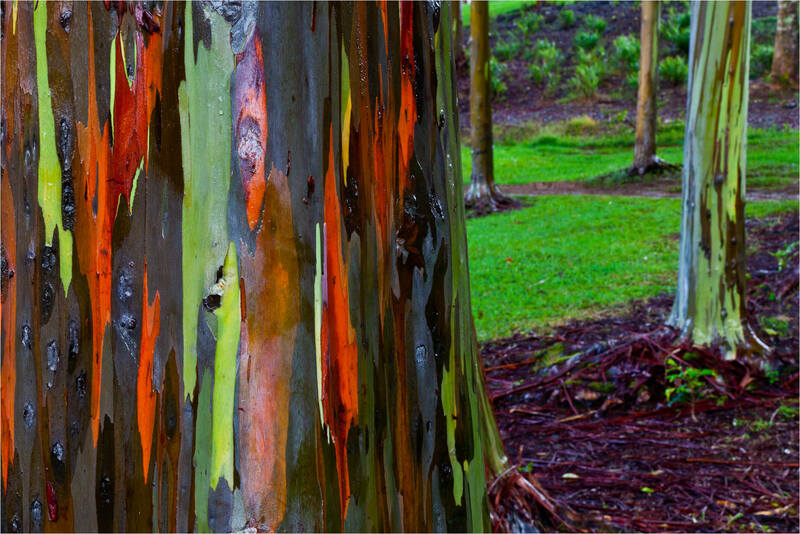 But here in Australia, the trees love colours more than us and so grow a unique multicolored bark, almost giving the appearance of a hand painted effort. Green, maroon a, orange and yellow; these trees look like they have come from a fairytale. Whatever we may have become and no matter where we are headed too, our planet still has mysteries that no one has been able to unfold. This is why Mother Nature is above all- in fact a bit scary but then all secrets are not meant to be shared! Previous articleFunny and Bizarre military Strategies that Actually Worked!! Next articleScandalous Affairs that took the world by storm!